Badr was the most heroic and memorable battle ever fought by the Muslims, who were faced with very heavy odds. There were 313 men, three horses, seventy camels, six or nine coats of arms and eight swords with Nabi SAW, while the Quraish had about 1000 men, 100 horses, 700 camels and were fully armed. In spite of knowing the strength of the Quraish, Abdullah bin 'Umar and Bara bin Azib , in eagerness to join the battle, had come out with the Mujahideen. However, because of their young age, Nabi SAW did not permit them to go to the battle- field. As we have already seen, both these boys were also sent back for the same reason at the time of Uhud, which took place one year after Badr. Look at the wonderful spirit of the youngsters of that time. They were restless to get permission for participating in every battle. Al-Bara ibn Azib (Arabic: البراء بن عازب‎) was one of the companions of Muhammad SAW and narrator of hadith . He reported the hadith of hadith of the pond of Khumm and also figures in the transmission of numerous ḥadīth in the collections of Muslim and Bukhārī. When Umar RA was at Fatimah's house al-Bara was in it. Hearing that, those people changed their direction towards the Ka'ba immediately. Jews and the people of the scriptures used to be pleased to see the Prophet facing Jerusalem in prayers but when he changed his direction towards the Ka'ba, during the prayers, they disapproved of it. Al-Bara' added, "Before we changed our direction towards the Ka'ba (Mecca) in prayers, some Muslims had died or had been killed and we did not know what to say about them (regarding their prayers.) Allah then revealed: And Allah would never make your faith (prayers) to be lost (i.e. the prayers of those Muslims were valid).' " (2:143). 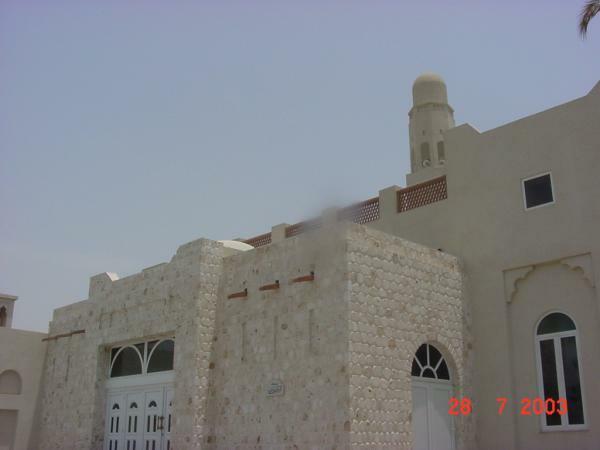 The Prophet delivered the Khutba after offering the prayer on the Day of Nahr and said, "Whoever offers the prayer like us and slaughters like us then his Nusuk (sacrifice) will be accepted by Allah. And whoever slaughters his sacrifice before the Eid prayer then he has not done the sacrifice." 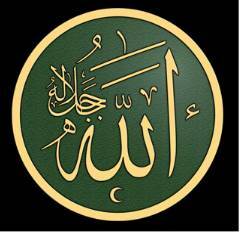 Abi Burda bin Niyar, the uncle of Al-Bara' said, "O Allah's Apostle! I have slaughtered my sheep before the Eid prayer and I thought today as a day of eating and drinking (not alcoholic drinks), and I liked that my sheep should be the first to be slaughtered in my house. So slaughtered my sheep and took my food before coming for the prayer." The Prophet said, "The sheep which you have slaughtered is just mutton (not a Nusuk)." He (Abu Burda) said, "O Allah's Apostle! I have a young she-goat which is dearer to me than two sheep. Will that be sufficient as a Nusuk on my behalf? "The Prophet (p.b.u.h) said, "Yes, it will be sufficient for you but it will not be sufficient (as a Nusuk) for anyone else after you." On the day of Nahr Allah's Apostle delivered the Khutba after the Eid prayer and said, "Anyone who prayed like us and slaughtered the sacrifice like we did then he acted according to our (Nusuk) tradition of sacrificing, and whoever slaughtered the sacrifice before the prayer, then that was just mutton (i.e. not sacrifice)." Abu Burda bin Naiyar stood up and said, "O Allah's Apostle! By Allah, I slaughtered my sacrifice before I offered the (Eid) prayer and thought that today was the day of eating and drinking (non-alcoholic drinks) and so I made haste (in slaughtering) and ate and also fed my family and neighbours." Allah's Apostle said, "That was just mutton (not a sacrifice)." Then Abu Burda said, "I have a young she-goat and no doubt, it is better than two sheep. Will that be sufficient as a sacrifice for me?" The Prophet replied, "Yes. But it will not be sufficient for anyone else (as a sacrifice), after you." Allah's Apostle ordered us to do seven things and forbade us to do other seven. He ordered us: to follow the funeral procession. to visit the sick, to accept invitations, to help the oppressed, to fulfill the oaths, to return the greeting and to reply to the sneezer: (saying, "May Allah be merciful on you," provided the sneezer says, "All the praises are for Allah,"). He forbade us to use silver utensils and dishes and to wear golden rings, silk (clothes), Dibaj (pure silk cloth), Qissi and Istabraq (two kinds of silk cloths). When Allah's Apostle (SAW) concluded a peace treaty with Al-Mushrikun (polytheists, idolators, pagans) at Al-Hudaibiya, Ali bin Abu Talib wrote the document and he mentioned in it, "Muhammad, Allah's Apostle (SAW)." 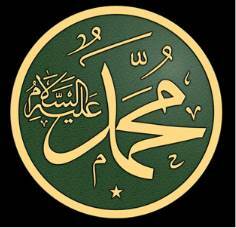 The Mushrikun said, "Don't write: Muhammad, Allah's Apostle (SAW)', for if you were an apostle we would not fight with you." 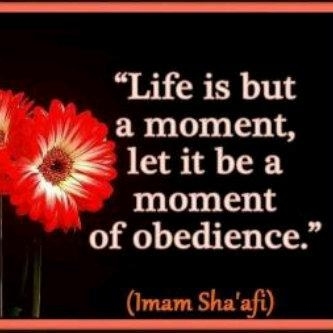 Allah's Apostle (SAW) asked Ali to rub it out, but Ali said, "I will not be the person to rub it out." Allah's Apostle (SAW) rubbed it out and made peace with them on the condition that the Prophet (SAW) and his companions would enter Makkah and stay there for three days, and that they would enter with their weapons in cases. On the day of Hudaibiya, the Prophet (SAW) made a peace treaty with the Al-Mushrikun on three conditions: 1. 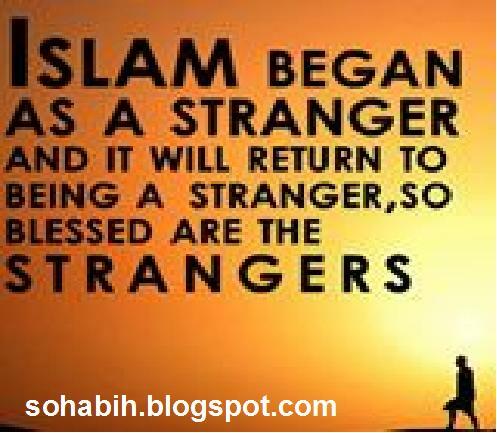 The Prophet (SAW) would return to them any person from Al-Mushrikun (polytheists, idolators, pagans). 2. Al-Mushrikun pagans would not return any of the Muslims going to them, and 3. The Prophet (SAW) and his companions would come to Makkah the following year and would stay there for three days and would enter Makkah with their weapons in cases, e.g., swords, arrows, bows, etc. Abu Jandal came hopping, his legs being chained, but the Prophet (SAW) returned him to Al-Mushrikun.